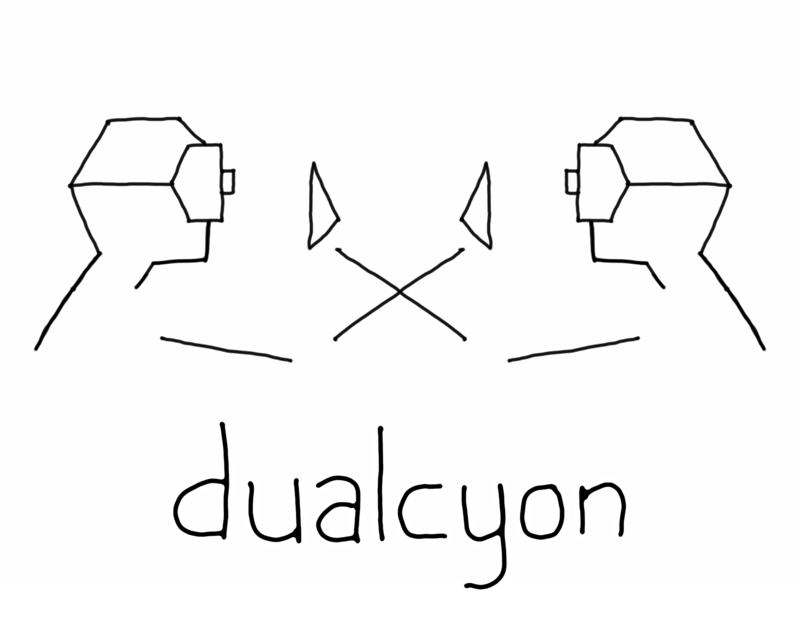 Chad Toprak & Yang Ho, the mint gamedev duo also known as FezHamster, present dualcyon, a unique co-op puzzle experience for two. Each player is equipped with an Oculus Rift and Leap Motion, but can only see the interactions of the other player. As such, the fate of the two players are put in each other's hands. Together they must communicate and solve puzzles to advance further in the game. Chad is a game designer, phd candidate writing about the "new arcade", and co-director and curator of Melbourne's indie games curator duo Hovergarden. He is currently working on Turnover, a local mutliplayer game for four that's best served on the ground. Yang is a game designer and programmer who is originally from Malaysia. He has worked on numerous experimental projects such as Bubble Popper and Cart-Load-O-Fun and enjoys making custom hardware. In his spare time, Yang likes to indulge in the latest tech gadgets and provides his opinions on his site TechRodent. - The Oculus Rift and Leap Motion are powered and plugged in. - The drivers and runtimes are installed for them. 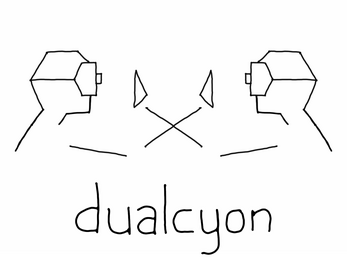 dualcyon requires that the two Leap Motions be swapped, Player 1 must have their Leap Motion plugged into their machine but mounted onto their partner's Oculus Rift, and vice versa. Player 1 acts as the host and must provide their IP address to Player 2. This address is displayed when Player 1 starts hosting. Player 2 must enter the IP address and make sure the port number also matches. Upon joining the game, the Oculus Rift will kick in and the players should then put on the gear and dive into the game. There are eight levels in total. Good luck! We encourage you to share your thoughts, problems, feedback, comments, cakes and kittens, so please get in touch, we'd love to hear from you! Do watch a video of us talk about the game!